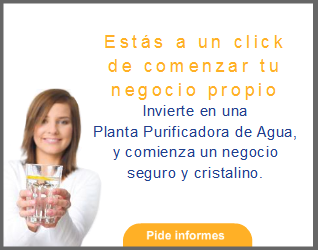 Purificacion del agua: The Crisis is not going to end, has just begun. Adapt or die. The Crisis is not going to end, has just begun. Adapt or die. Tweet sharing as some already know, the word crisis, in other languages meaning change (positive or negative), opportunities, end of an era and beginning of another. The message that we will try to convey is that a crisis is not necessarily negative, but quite the contrary, although ciértamente, when there is a crisis, begins a process of "natural" selection in which survives only someone with more skill to accept changes and identify opportunities. The biggest crisis that the planet has known was the crash of 1929, although if today look back, that year finished a stage and entered the "industrial revolution". While there was talk of the biggest stock market disaster in history, a few took advantage of that fall in the stock market to take advantage of the later rise. While some ruined completely, others became rich thanks to the Black Wall Street Thursday. Moreover, the crisis of 29 never completed, but with the passage of the years produced the adaptation. Now live another crisis, which has ended so soon knew, property speculation, the cuncontrolled mortgage revenue and construction without limit. That era it has ended and he is giving way to the beginning of the new era, which comes from the hand of new technologies. No matter whatever your business, or you enter this change or you die as a company and even as a worker, that while there is a huge unemployment, are born new jobs for which very few are prepared. "adapt or die". Some people are wondering when to end this crisis, being the answer that there is no crisis as such, in fact, what we are calling crisis, will not finish ever, among other things because it has just begun. We are asking for answers and obligations to our Governments so that we take out of this situation, and the reality, whether you want to take it as if it is not, that they not can get you from here, moreover, also are in the precarious situation looking for ways to improve the public coffers. The bad news is that they will try to clean up these chests with money from the citizens themselves (although this is normal and is not the subject of today). If you want to know how you got here, the answer is simple. You lived in a world of fantasy into a dream where provided you a "fictional" standard of living based on credit. That dream ended, and the wake-up is when you realize that you must restore that credit and pay the cost of living beyond your means. The word appearing more in times of crisis is to "reinvent itself", after a change in the system, you need to change your vision and mentality and certainly not stay seated waiting for that Government to make a magic trick: "Ta chan!" "5 million jobs". Do really expect that? Probably we will never see that boom in the construction, although you will find new business opportunities in home automation, housing services, business services and everything that has to do with technological advances. Already refers to bubble to the internet, but it is clear that this bubble must seize it with everything you've already learned.